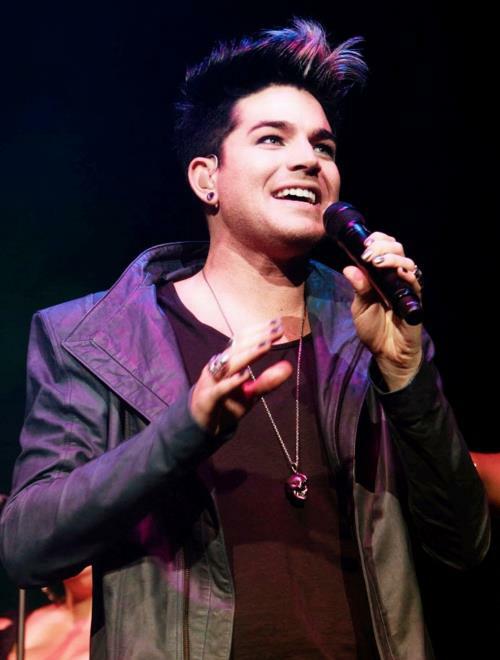 You are here: Home / Tours and Live Performances / 2013 "Non-Tour" Tour / Adam Lambert To Headline Miami Beach’s Gay Pride Festival! @adamlambert will be the headline performer in Miami Beach, Florida on Sunday, April 14, 2013 at the Fifth Annual Miami Beach Gay Pride Parade and Festival. Thanks to glamlafp’s photobucket page for the hot picture! From the official page: As one of the first Pride events of the year, Miami Beach Gay Pride is extremely excited to have Lambert as part of the fifth annual celebration, said Babak Movahedi, chair of the Pride board of directors. “In five short years, Miami Beach Gay Pride has gone from a neighborhood event to an event on the global stage. The fact that someone of Adam Lambert’s caliber is enthusiastic about performing at Miami Beach Gay Pride speaks volumes about the significance of our events,” he said. Please let us know who’s going and fill us in afterwards! If you’re unable to make it to the east coast for this, I hope you’re joining us on the west coast for his July 2nd show at the San Diego County Fair. Good seats are still available. I’ve been going to several shows each summer at the San Diego Fair since moving here in 1992. Even if you’re in the unreserved seats, it’s still pretty close to the stage. I’d like to think that Adam’s been to shows here too, considering this was his hometown fair. I wonder what it’s like for him performing on the same stage he went to as an audience member? All I know is Adam and the San Diego County Fair – it’s going to rock, rock, rock!! Unless I really reading my calendar wrong, April 24, 2013 is on a Wednesday not a Sunday. ?????? Typo, sorry! I’ve fixed it. Thanks for keeping me on-track! Can’t wait to see Adam on July 2nd. I tried so hard to get the VIP upgrade M&G but they were gone within seconds on the presale site-so , again , it was not meant to be. I was volunteering in my grandson’s classroom that morning, and as much as I love Adam, I couldn’t not show up in my 5 year-old grandson’s classroom-so my daughter kindly went on line as soon as the tickets went on sale. At least I’ll get to go to the S.D. concert and who knows-maybe someday I will meet Adam…….. I am so jealous. I just can’t go that far as busy as I am for a concert. I hope he has a great crowd. My fair in Milwaukee usually has some great performers, some are oldies, but some are current. Take pictures and let us know how it goes. You didn’t mention the Pittsburgh Celebration. 90 min show outdoor stage on June 15. I’m going to that one as are many friends – mostly from northeast U.S.
NOT FAIR, I’m in Australia, NOT BLOODY FAIR…. Sounds like a lot of fun, but we’ll have fun seeing him here in San Diego in July! Can’t wait! Soooooo, is it the 14th or the 24th? Sounds like a great time to me; and its free too!?! HOT DAMN! Gonna do everything I can to go. This may be the only chance I have to see him beings there is no U.S. Trespassing Tour.